In the last few weeks, there has been quite a few behind the scenes shots liking onto the Internet from the Toronto set of Suicide Squad, from close up shots of the villains we’ll be cheering on next year to a certain Dark Knight giving chase to the Clown Prince of Crime. To say the set hasn’t been that secure could be a bit of an under statement, but no matter the circumstances of the leaks (you always have to consider this could the studios using fans for their own ends), they have certainly built up quite a bit of hype for a movie that may have had a few people scratching their heads when the movie was first announced. But now as the filming moves from real life locations to sound stages, director David Ayer has taken to Twitter, stating that it’s ‘time to go dark’, and that there is still plenty of surprises in Suicide Squad that audiences won’t see coming. Well we survived the streets. Time to go dark now. Remember, only the tiniest glimpse has been exposed. Our surprises are intact. Leaks like these are pretty common in this day and age, and as I’ve said before, can be incredibly beneficial to studios, working as free marketing almost. 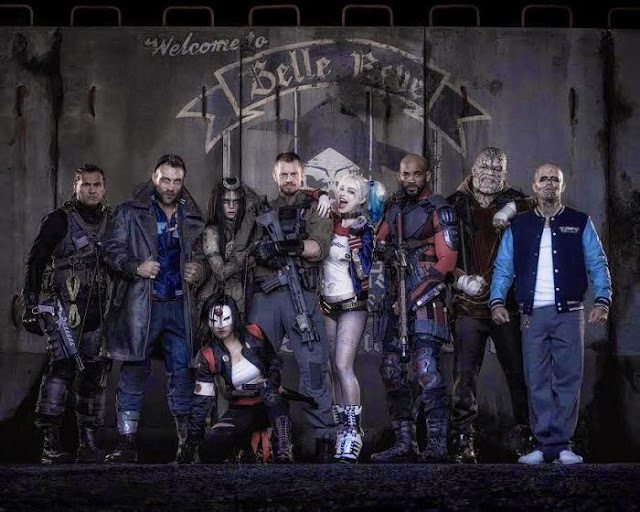 While Batman v Superman: Dawn of Justice is the one on every ones radar, Suicide Squad feels like a more important building block in Warner Bros.’ DC Cinematic Universe, containing characters important to members of the universe we have yet to see (including Jai Courtney as Flash villain Captain Boomerang). Whether or not these surprises will hit with a main stream audience is another matter. Suicide Squad is released August 5th 2016.